So you’ve implemented an enterprise content management (ECM) system at your organization and are designing your first automated process. What now? Have no fear! Michael Wells, Desktop Services Manager at Chesterfield County, VA, tackles this topic with his three-step approach to automating any business process. Why do you want to automate this process? What do you want to accomplish with automation? What problems are you trying to solve with automation? For example, you may want to automate the travel request process because business travel requests are approved late and the travel coordinator ends up buying overpriced plane tickets and hotels. You would like to have a process where employees request travel as early as possible and approvals are timely so that costs are controlled. Once you know why you are automating the process, you have to figure out who is involved and what their roles are in the process. It is best to have a user walk you through his part in the process, instead of trying to describe it verbally. What documents are involved and what metadata must be applied to them? What activities need to take place and in what sequence? What systems are involved? Examples include accounting systems, human resources databases, CRM, ERP, etc. In the travel request example, the documents involved can include the request form and the confirmation emails from the flight and hotel websites. Activities include form submission, request approval, making the arrangements and writing a check. Other systems involved are the human resources database and the accounting system. Next, focus on the documents involved in the process. Where are these documents coming from? Are they arriving by email, fax, an electronic form or the postal mail? Once the documents go through the process, where will they end up? Should they be archived, destroyed or transferred to another agency? In the travel request example, requests can be submitted by email or in person. The confirmations for the hotel and flight are emailed to the traveling employee. All these documents must have proper retention schedules assigned for recordkeeping compliance. Lastly, establish the timeline and deadlines for the project. When does the automation start? What is the sequence of events? For example, you can break down the automation of the travel request process into key components and have a deadline for each component. Some components include the submission of the travel request, the review and approval, the scheduling of travel, and the reimbursement. Afterward, you can set a time frame for testing and another for going live. A tool that scans and processes documents in a batch and automatically appends the appropriate metadata. A workflow product that serves as the backbone for automation by facilitating user and document interactions. It allows for the automatic routing of documents for review, sending notifications, renaming documents and creating appropriate file structures. Electronic forms that facilitate paperless processes from start to finish. 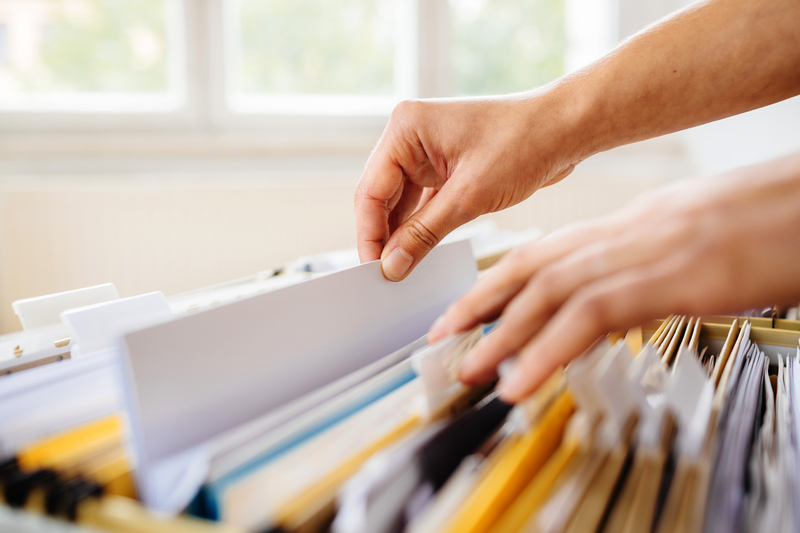 An electronic records management module that keeps track of archived documents and allows for automatic setting of document retention. The records manager gets automatic notifications when documents are ready for destruction or accession. Use agile project management during your implementation. Automate one small section at a time, and show each section to your stakeholders and users to make sure it is exactly what they want. If the project changes during implementation, agile project management allows time for IT to make changes before investing too many resources in the wrong direction. Be aware of scope creep during your implementation. Focus on the project at hand and save big ideas for future iterations—after the first project is complete. Get user input throughout the implementation process. IT should work with the users—the automation is a partnership. Make sure users give feedback at each stage of the implementation, and tweak the solution so that it fits their needs. Remember, the process is not finished once automation is in place. Processes change over time and new technology advances result in more automation possibilities. It is important to periodically re-evaluate the process to make sure that it is still performing optimally. To get more advice on diagramming your business process before it is automated, download the free guide.